Home / Top Stories / Opinion Pieces / Motorcycle Lane Splitting: Will it Divide California’s Accident Rates? In the last year, the U.S. has seen a 15% increase in motorcycle accident fatalities. There has been some speculation about the reasoning behind this, like from the LA Times alluding to the fact that this was a product of a shorter winter, which allowed more motorcycle riders to be on the U.S. roads, not to mention lower fuel prices and a more stable economy to factor in there. These elements could have explained a surge in the number of motorcyclists on the road, but a 15 percent increase is a notable statistic and is worth figuring out ways to decrease those numbers both locally and nationally. For California specifically, there were 462 Motorcycle deaths in 2015, and 44 of them were in San Bernardino county. This amounted to approximately 9.5% of the state total. Even though California has experienced a slight decrease in motorcycle fatalities, they have become the first in the nation to pass a bill that could potentially change the accident rates for the better. This bill is known as AB 51, and is regarding the legalization of the motorcycle practice known as “lane splitting.” It was passed in August of 2016 and officially went into effect on January 1, 2017. The California DMV now explains lane splitting as the following: “driving a two-wheeled motorcycle between rows of stopped or moving vehicles in the same lane.” And the CHP now has the authority to determine if motorcycle riders are within the confines of the law for lane splitting or not. How did this Motorcycle Bill Get Passed? There has been a lot of confusion about the legality of the practice, as motorcycle riders have been doing this on California roadways for quite a while now without any recourse from the CHP. They have kept it as a “grey area” in the California law up until 2017. For what it’s worth, in 2013 the DMV did make a move and released a set of guidelines about lane splitting, with a list of recommendations about the practice. However, they were just recommendations and safety tips about lane splitting purely to be used as a “guide”. What Are Pros and Cons of Motorcycle Lane Splitting? Lane splitting has been a very contested subject in California, and there are some big points on both sides regarding whether it’s a good or dangerous practice. Here are some of the main pros and cons on both sides of the debate. It reduces the amount of traffic congestion. Lane splitting increases mobility for riders, allowing movement away from hazards. Keeping traffic moving decreases motor fuel emissions. 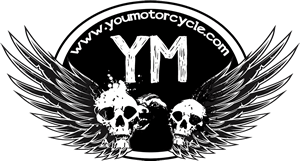 Motorcyclists less likely to suffer head injuries, torso, extremity and fatal injuries. Increased air flow helps motorcycle engines avoid overheating. Allows motorcycle riders the ability to travel faster than the vehicles around them, and an excess of 15 mph differential can greatly increase the chances of serious injury. Riders are harder to spot on the road if they are lane changing frequently. Lane splitting places motorcycle riders closer to other vehicles, thus reducing the time to identify and react to other vehicle behavior. Uneven pavement or raised markings on the road can be hazardous to lane splitters. Part of the reason that the bill was finally passed was due to some compelling research that was conducted back in June 2012 through August 2013 by the Safe Transportation Research & Education Center at UC Berkeley. This study measured the relationship between lane splitting and motorcycle accidents in California. The findings were very enlightening, and played a big part in the passing of the bill in CA. Of the 5,969 motorcycle accidents reported during this time by the CHP, only 997 of the accidents involved lane splitting at the time of the accident. 86% of the lane splitting rider accidents occurred on a weekday (Monday-Friday). 94% of lane splitting rider accidents occurred on a California state highway. This data agreed with the idea that lane splitting was not a big contributing factor to the total accident rates in California, and the practice was mainly performed by motorcyclists during slow-moving commuter traffic during the week. There are some factors in play that might make measuring the success of this bill very difficult. One of these problems is that the California Highway Patrol currently doesn’t actively keep a record of how many and which motorcycle accidents are the result of motorcycle lane splitting. They were keeping record during the UC Berkeley study, but discontinued the practice when the study was complete. Another factor to consider is that even in the instance that lane splitting was an element in a particular collision, it could be difficult to determine if the actual lane-splitting act was the fault that caused the collision. Because in the case that both a motorcycle and a vehicle are acting within the confines of the law in a single lane, they would both technically have the right-of-way. Who’s Liable in a Single-Lane Accident while Lane Splitting? In cases with motor vehicle accidents involving motorcycles, the courts have a duty to determine which vehicle was at-fault in the accident. California does practice comparative negligence for motor vehicle accidents, which basically means that multiple parties can be found to be at fault for the same accident, so it could be established that both vehicles were a certain percentage at fault in the accident, and the courts would determine compensation based on the amount of fault for each vehicle. As a motorcycle rider, it might prove to be a difficult task to prove their complete innocence. They would have to prove that they were performing a legal lane splitting maneuver at a moderate speed and that the driver of the other vehicle was rapidly changing lanes without adequate signaling or checking their surroundings first. It’s recommended for any motorcycle rider in this situation in San Bernardino county to consult an experienced motorcycle accident attorney in California to help fight for them. Watching and Hoping for a Safer Future! In conclusion, we would all like to reduce the number of motor vehicle accidents on the roads, as these are our friends and loved ones on the roads, and we would prefer that they arrive to their destinations safe and sound. 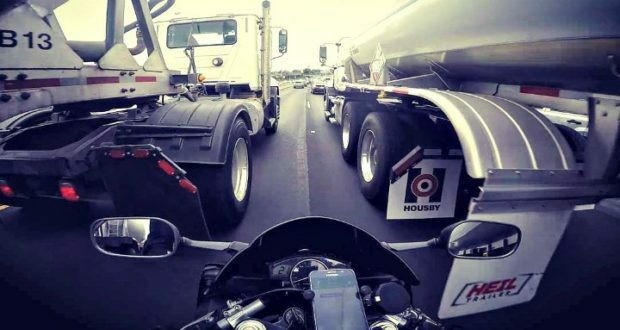 Even if there are opposing forces on the debate about motorcycle lane splitting, if it ultimately leads to a decrease in accidents and fatalities, then everyone wins! So as for the question if lane splitting will make everyone safety, the answer is: We’ll See. For now, It’s a waiting game to see if the motor vehicle accident statistics are reduced in the years to come. And if it’s determined that these decreases were a product of the legalizing of motorcycle lane splitting, then it might encourage other states to follow suit, and we can work to get the national averages down as well. Experienced Southern California Personal Injury and Motorcycle Accident Attorneys with offices located in San Bernardino, Riverside and San Diego, CA. If you have been injured in an accident, we can help fight for compensation. Offering a Free Consultation and charge nothing unless we win your case. Contact us today! Been lane splitting in Southern California for 13 years. It is an adrenaline-filled endeavor, especially with a fat bagger, but when faced with the option of sitting on top of a hot engine with your feet on the pavement, it’s a no-brainer. There is some common sense that can be well-applied. If the traffic is moving at 25MPH or faster, I stay in my lane. It is much nicer to split lanes with two or more bikes in a line as the cars tend to move aside for the first bike and followers have more space. If another bike is splitting lanes faster and comes up behind you, get out of their way by pulling into a lane, then follow them if you can. The best lanes to split between in California are the far left lane and the next one over, since that is where most cars expect to see the lane-splitting bikes. California allows bikes in the car pool lanes too and that is the first choice when traffic backs up. Drivers can get startled and a little resentful of a bike whizzing past them so close and beating the traffic that they are stuck in. Being as considerate as possible and not splitting too fast helps. If the vehicles (or their mirrors) in the lanes you are splitting squeeze you to a stop, just wait until they are not directly parallel with each other so you can scoot by them one at a time. Being aggressive in riding or attitude does not combine well with lane-splitting; that is a quick path to becoming a motorcycle fatality statistic. Lets be honest, it can be a dangerous move. However here in Alberta Canada, it is against the law to be lane splitting. Does it still happen? Yes it does. As the government tries to control us by “protecting us” one by one our rights are being taken away from us. If I were lane splitting and I collided with another vehicle, it should be my fault. My next question would be, what about bicycles? Up here they have all the rights of the road, but none of the responsibility. They can slide in beside vehicles anywhere, and pay no penance. Personally I believe that a rider who has a licence is more aware of the hazards than a bicyclist. Just my thoughts.